Just as what our name implies, we are totally dedicated to help you achieve healthy teeth and gums and a good overall health for a lifetime. Fact: There are so many dental offices owned by big corporations around town currently. Dedicated Dental is a privately owned dental office and as such, we care and try harder to earn your business. Your appointments will be quicker and your wait time in our waiting room is shorter if at all. We work harder to give you appointment times that fit your busy schedule. And in an event when you suddenly have a bad cavity or a painful broken tooth that needs to be fixed right away, we will always try to make time to see you on the day that you reach out to us! Best of all, our dentist won't take you for granted. Our gentle and experienced dentist will take time to listen your individual needs and explains your treatment options in detail. 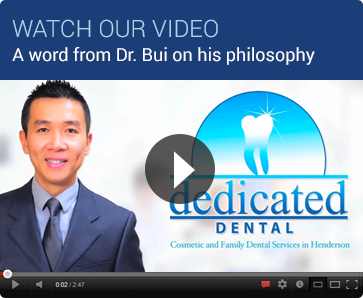 Dr. Bui is known to be compassionate and gentle with his touch. 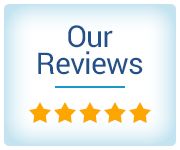 Many of our patients mentioned in their online reviews that they didn't even feel his injections at all and that they appreciated his work quality. Lastly, our friendly staffs’ only focus is to make sure you have a good experience during your visit! 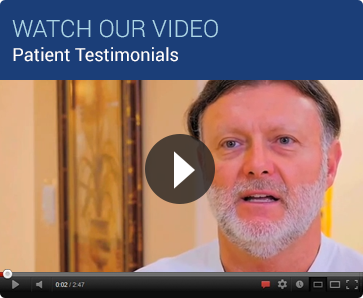 Give us a try to see why many of our new patients are referred by their family, friends, and their co-workers! Since 2006, we have been providing cosmetic and family dental services to adults and kids 4 years of age and up in the Las Vegas suburb of Henderson, Nevada. Our mission is to create a warm, caring, and relaxing environment that provides the highest level of dental care available for you and your family. Keeping your teeth and gums healthy is all we do! Some of the special services Dr. Bui & Dr. Nguyen offer include pediatric dentistry, cosmetic dentistry (implants, bridges, veneers), full mouth reconstruction, emergency dental service, Invisalign®, and professional teeth whitening.